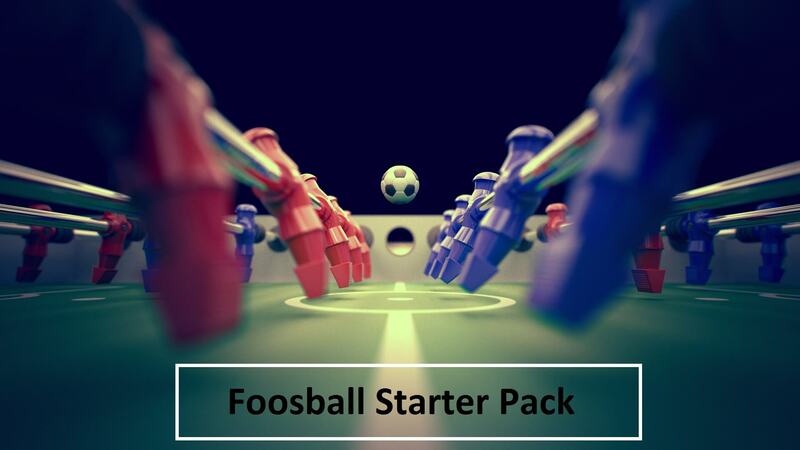 Find out What Should Every Foosball Player Have Now! Buying the best foosball table you can afford is always the first step to acquiring what is needed to play foosball. 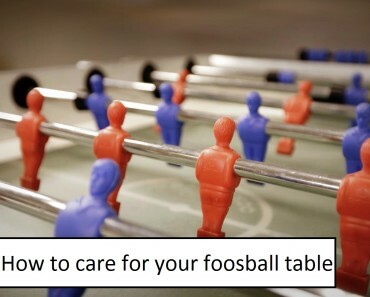 Do you know What Should Every Foosball Player have? Many new players look at the prospect of buying a foosball table and think it will be too much to spend so much money on a table. The truth is if you are buying just for fun you will want a table that will give you many years and hours of fun, as well as affording you the pleasure of becoming semi-professional or just as professional when you play. Investing in a good high-end table is the first recommendation. There is nothing wrong with buying a secondhand foosball table. The thing is, with buying one there may be the prospect of having to get replacement parts for this older table. Getting parts that fit for a worn table is not an easy job for a starter player of foosball. The thing is; it may cost you more overtime to get the secondhand table up to good condition for playing well than it is to buy a new table with accessories that you will need over time. If you decide to purchase a secondhand foosball table, never ask for it to be delivered as is. Request the table surface is leveled before shipment, and ensure they tell you if any repairs or change of gears, rods or bearings were done. This is information you need to make an informed decision to buy. Before buying, also, get the opinion of a professional foosball player or someone that has been around foosball tables for a long time. Research is very important in purchasing a new foosball table. There are a wide variety of tables available from many manufacturers, so choosing the right one will be an adventure. It is good to get recommendations from persons who already have a foosball table. If the person is a professional player, then your search is narrowed down by at least 50%. Their expert recommendation will stand you in good stead to deciding which foosball table to purchase. Online reviews are a good source for seeing what is on the market and looking up sites that are specifically geared for foosball information. Recommendations are very important and you should take them into your account! If buying your foosball table online, decide how much money you intend to spend, and the reason you are buying the table. If buying for family recreation, then you will invest in a table that will suit your needs as a non-professional player. If you are leaning towards acquiring the table to become a semi-professional or to eventually become a professional player, you need to budget for a good high-end table. These are just some of the good high-end brand foosball tables to choose from. There are others, but the choice is dependent on your needs. It is important to know the weight of the table you intend to purchase. This will give you a good balance of rough play and the table is more durable for lasting potential. Buying a light table is defeating the purpose of wanting a good professional play, as they stand the chance of shifting when you really get into a good rhythm of play. This is an annoyance because you will have to stop periodically to level the table during plays. With a heavy table; you will not have this situation to contend. A solid, heavy table is about 200+ pounds. This is an investment! Older foosball playing men have rounded feet. This is considered in today’s classification of playing men to be not such good buys. Playing men with pointed toes are able to play great shots while having better ball control during play. Foosball playing men today are able to stop the ball during play for setting up advanced shots; like a snake shot;( this is foosball language that you will learn overtime).The older playing men are not atomically made to accomplish this shot. Buying a foosball table with counterbalanced playing men is a smart buy. This means your players have weights on both the feet and head. This feature affords you the skill of having your foosball playing men to be able to lie horizontally when the need for this arises. Professional foosball players will tell you the benefits of having this feature with your playing men, as it is an advantage with speed plays and being able to make the play through and not having your own men block your shots or play. Playing men that are not counterbalanced will not stay fixed in a horizontal position when needed; they will swing vertically and cause play to be interrupted, which is not good. These features though sounding simple are really very important. Wooden handles shaped octagonal will allow you to have a more comfortable and better grip for play. It is not slippery if your hands get sweaty, and will allow you to make better shots. Confidence is what these wooden handles are able to give you. Adjustable legs will give you the dexterity to adjust your legs for sturdier table balance on any surface. The potential to adjust the legs for easier and fair play will afford you the chance of a smoother game. Thinking of acquiring a foosball table for recreational or fun purposes is a truly inspirational investment. Buying a good, high-end table is a great investment and it speaks volumes as to your love or pending love you will develop over time. The fun and fierce challenges you are going to have played on this foosball table; will leave you with incredible memories.